Summer is absolutely my favorite season of the year. From Memorial Day weekend through Labor Day weekend, we’re able to do all sorts of fun things and gather with our family and friends outdoors. From picnics in the park, to backyard BBQs and huge bashes, there really is so much fun to be had! 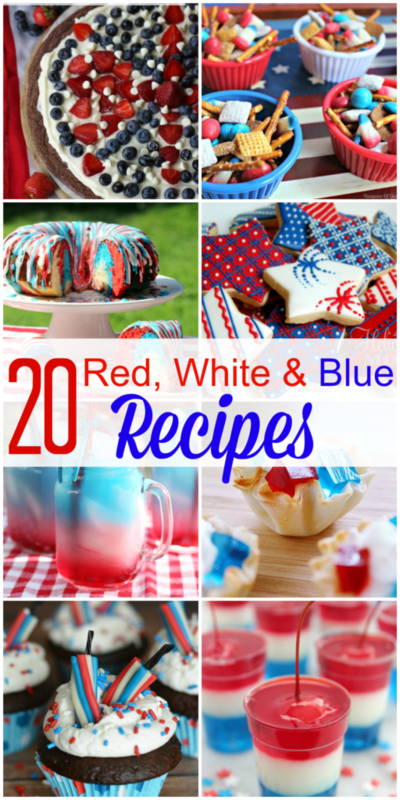 ?But best of all are those holiday weekends – Memorial Day, 4th of July and Labor Day – because they’re a time to show our American pride and I’ve compiled this list of?20 Red White & Blue Patriotic Recipes that are sure to be a hit during all of your summer holiday festivities! All of these red white & blue patriotic recipes just look absolutely divine and are just such a great way to show your American spirit and love for your country! With such a wide variety of tasty foods, you could create a few and have a pretty awesome themed party! Throw in some red, white and blue decorations are you’ve got the perfect set up for a fun filled weekend with those you love! 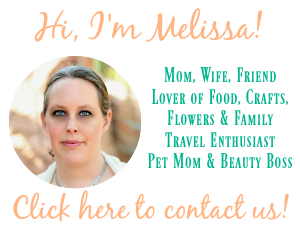 Stop by these blogs and grab their recipes today! Thanks for including our recipe! I’ll be tweeting and pinning! You’re welcome – and thank you! !